Whilst talking about our holidays we will say it was the sun, great food and company that we enjoyed most I think secretly a lot of us beauty lovers are really thinking 'Duty Free Shopping'. There's something about airports that sees me taking leave of my senses and suddenly budgets don't apply and spending any of amount of money seems justifiable. And that's before you take into account the discounts. I admit usually when shopping in Duty Free I tend to pick up products I'm familiar with. Last year for example I took the opportunity to replace my Chanel Les Beiges Healthy Glow Powder. Prior to that my Duty Free staples used to be Elizabeth Arden Eight Hour Lip Protectant and the YSL Make Up Kit containing Touche Eclat and their mascara and a new perfume. Following an event World Duty Free hosted last year I think it's time I start looking at their beauty exclusives a little more carefully. 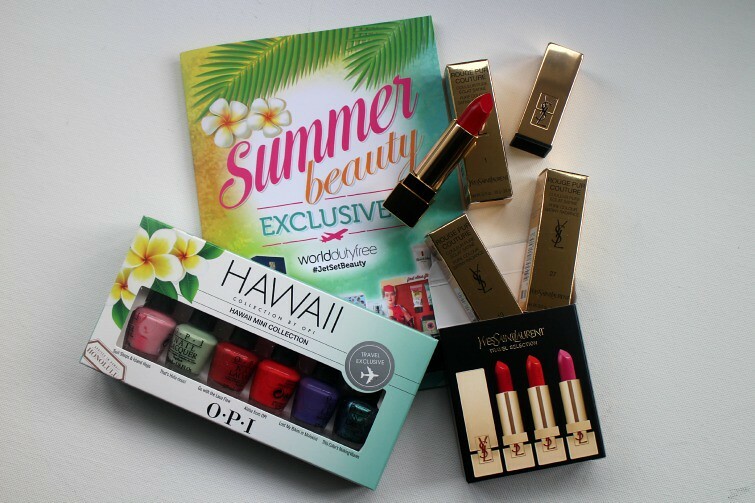 I was lucky enough to go home with two, the OPI Hawaii Mini Collection* and a YSL Lipstick Selction*. OPI's Hawaii Mini Collection contains six perfectly sized bottles for travelling and the price, £16.35 is amazing value. Each shade would compliment your tan with the blue shimmer, 'This Colours Making Waves' adding to any mermaid fantasies. 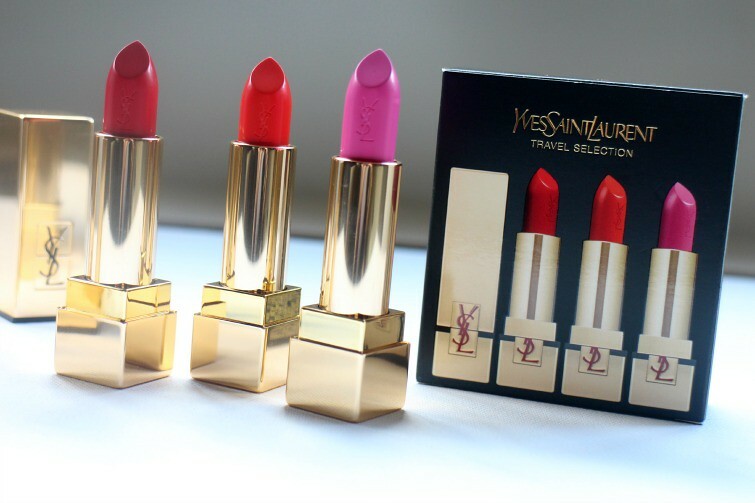 As for the YSL Lipsticks. Wow. They are admittedly my favourite. Two reds, one true one of the orange size and a bright pink we could easily rename this 'Victoria's Perfect Colour Match'. Each has accompanied me to Dubai and they are possibly the creamiest texture I have ever used not to mentioned the ultra luxe gold packaging. Last weekends Duty Free shopping as I embarked for Dubai was rather rushed from a beauty perspective as priority was ensuring we arrived ready to stock up our mini bar but I did make a couple of quick purchases which I will share soon but I low when I have browsing time these exclusive collections will be what I'm looking out for. Do you have a regular Duty Free purchases or are you a browser? 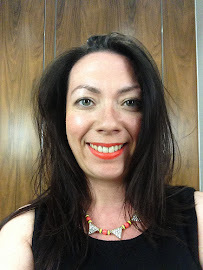 I love Duty Free, whenever we travel, we always stop off and buy something :) Love those lipstick shades! You lucky thing - gorgeous! I'm enjoying all your recent travel over on FB!